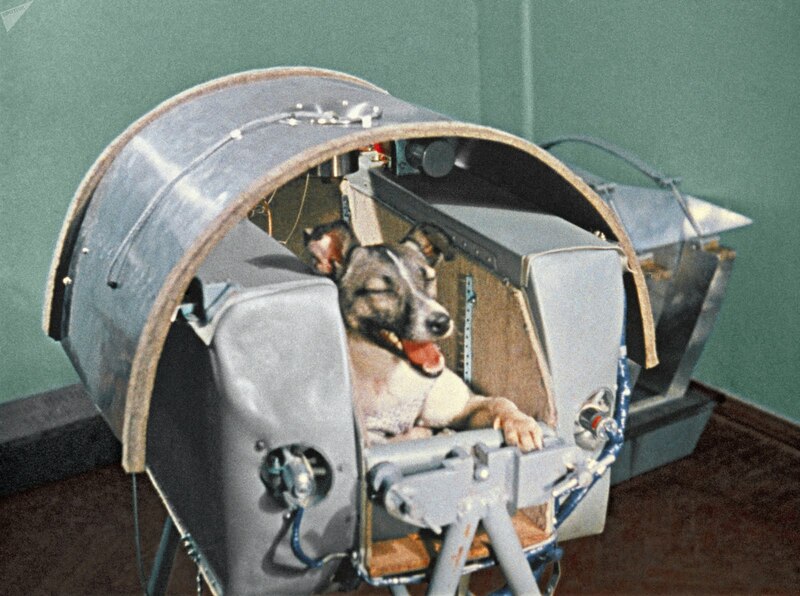 A sweet-tempered stray dog plucked from the streets of Moscow on November 3, 1957 was thrust into the global spotlight when she became the first living being to be sent into space, forcing other countries in the “race to space” to shift their focus to putting a man on the moon. When Sputnik 2’s canine passenger, Laika (nicknamed “Muttnik” by the media) hit orbit, the Soviet Union became the first to attempt sending a living being into space. Sadly, however, in their rush to be first, they were more focused on getting Laika out of Earth’s atmosphere than on her safety, comfort, and well-being. They had made no plans for how she would return to Earth safely. Laika’s space capsule was outfitted with a temperature control system and enough dog food to last 8 to 10 days that had been laced with poison that would painlessly end her life while orbiting, to prevent an excruciating death while reentering earth. But, the temperature control systems failed and Laika overheated and died from radiation only a few hours after taking off. Despite what many viewed as a failed mission, Laika’s short, albeit miserable, trip into space proved that, eventually and with appropriate safety measures in place, humans could enter space and survive – she had survived the g-forces to her body during launch, lived through entering orbit, survived microgravity and several orbits around the planet. 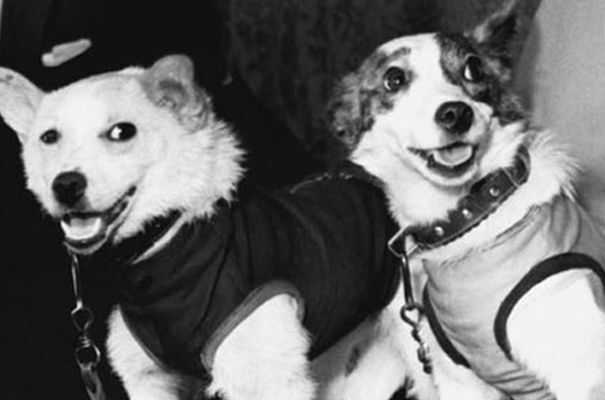 Years later, in 1960, Belka and Strelka became the first dogs to visit space and return alive. Strelka eventually gave birth to a litter of puppies, one of which was gifted to U.S. President John F. Kennedy’s daughter, Caroline.